Adopting carbon farming practices can lead to a loss in profit for farmers. So, is the public willing to pay for the co-benefits of carbon farming? Researchers from the University of Western Australia have estimated the public’s ‘willingness-to-pay’ for carbon farming, and the results of this work have implications for carbon-farming policies. Agricultural production is a major emitter of greenhouse-gases in most developed nations. It is therefore no surprise that there has been a lot of scientific and political focus on reducing greenhouse-gas emissions from the agricultural sector. This research looked at general community preferences for the potential benefits of carbon farming. Previous research has shown that adopting carbon-farming practices often leads to a loss in profit for farmers (Assessing costs of soil carbon sequestration by crop-livestock farmers in Western Australia). Financial incentives offered by the government are typically too low to offset such losses. Therefore, researchers investigated other ways to increase funds for farmers’ adoption of carbon farming. Some carbon farming practices can deliver environmental benefits in addition to climate-change mitigation. 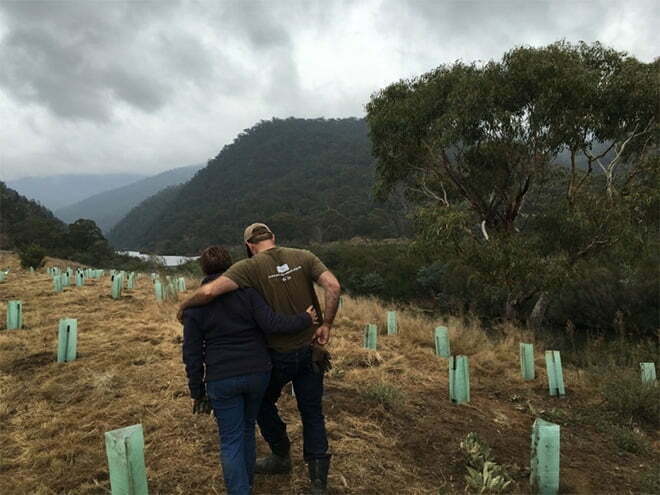 For example, planting native species on cleared lands or protecting native forests could have co-benefits for biodiversity or landscape aesthetics. It is very likely that some of the ‘co-benefits’ will provide socio-economic benefits to the wider community. The values provided by these co-benefits could partly offset the private profit losses to the farmers. An example of one of the choice questions used in the survey. Researchers set out to measure those values, by estimating the public’s ‘willingness-to-pay’ for the co-benefits of carbon farming. To do this, they conducted a choice-experiment survey of Australian residents in NSW, Queensland, Victoria and WA. An example of the choice questions can be seen to the right. Through an econometric analysis of respondents’ choices, researchers could ascertain the relative weight that people put on the various impacts presented. The model results demonstrate that people cared about costs, emission reduction, and protecting native vegetation – but preferences varied significantly across the population. For example, people who believe that climate change is happening and is at least partly caused by humans had more positive preferences for the benefits of carbon farming than other respondents. Using the researchers’ econometric model, we can estimate people’s individual willingness-to-pay to receive carbon-farming benefits. On average, respondents were willing to pay $19.20 per year for every extra hectare of native vegetation, and $1.13 per year for every metric tonne of CO2-e reduced. These willingness-to-pay estimates varied for respondents with different climate-change opinions. The results of this work have important implications for carbon-farming policies. Given that the Australian community derives a positive value from carbon-farming benefits (carbon mitigation and biodiversity protection), there is a strong case to broaden policies to include co-benefits in the value calculations – rather than considering greenhouse gas reductions alone. To increase the social welfare from carbon-farming policies, higher incentive payments should be offered to encourage changes in agricultural practices that generate environmental co-benefits. This article was adapted from Are People Willing to Pay for Carbon Farming? on Decision Point Online. You can read Marit Kragt and her team’s full paper on this topic: Public willingness to pay for carbon farming and its co-benefits.